Applying for college is more complex and often times more confusing than it used to be. In addition, there are so many resources out there. How do you know which is the right one? The best one? Shouldn't everyone have access to the best information out there, regardless of price? That's what we believe! We believe in giving everyone their best chance by providing them with real insight from the college admissions industry. 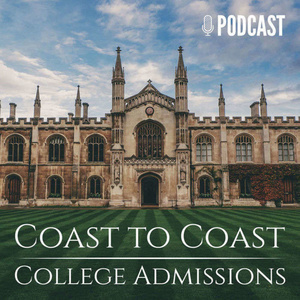 On this podcast, we share real and relevant topics in college admissions to provide you with a fresh perspective and truly actionable takeaways that you can use as you prepare to apply for college. We look forward to answering your questions and assisting you on your college admissions journey! Join Mark and Anna as they co-host a special episode with Steve Schwartz from College Admissions Toolbox as they discuss the college admissions scandal, designing activities, and letting passion guide your way to the perfect resume! Learn more about College Admissions Toolbox at http://www.collegeadmissionstoolbox.com. The college admissions scandal has stormed the media! 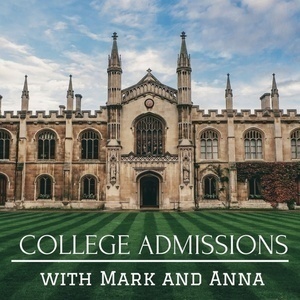 While everyone enjoys a good scandal, join Mark and Anna as they offer perspective on the scandal but also true practices (for better or worse) in college admissions. They'll bust myths and uncover truths as it relates to admissions, testing, coaches, and college consultants in this timely episode so you can arm your teen with the best resources possible. With college loan debts increasing far beyond any healthy, logical, or sustainable level—approaching 1.6 Trillion dollars, and the average student accruing $37,000 of debt by graduation—the illogical and unsupported quest to pursue and attend only a handful of elite schools with less than 15% acceptance rates and COAs over $70,000 a year… may finally be in recession. Join Mark and Anna as they explore the significance of return on investment in college selection. Anna and Mark recently attended the IECA National Conference in sunny Los Angeles, California—and took over the house! Okay, maybe not so much as took over as rolled through. Join Mark and Anna as they give you the dirt that they received straight from admissions themselves and cut down on the stress as they discuss tours of LA schools, admissions thoughts on test scores and the factors that actually get you in vs. qualifying you. Heading out for some school tours? Learn how to make the most of them as Anna and Mark cover questions to ask, what to look out for, what to do, and who to talk to. Too Young to Prepare for an Alma Mater? As college applications and admissions becomes more competitive each year and the financial ramifications of choosing the right school is even more important and daunting… parents desperately recognize that preparing earlier is better than later. But how early is too early? 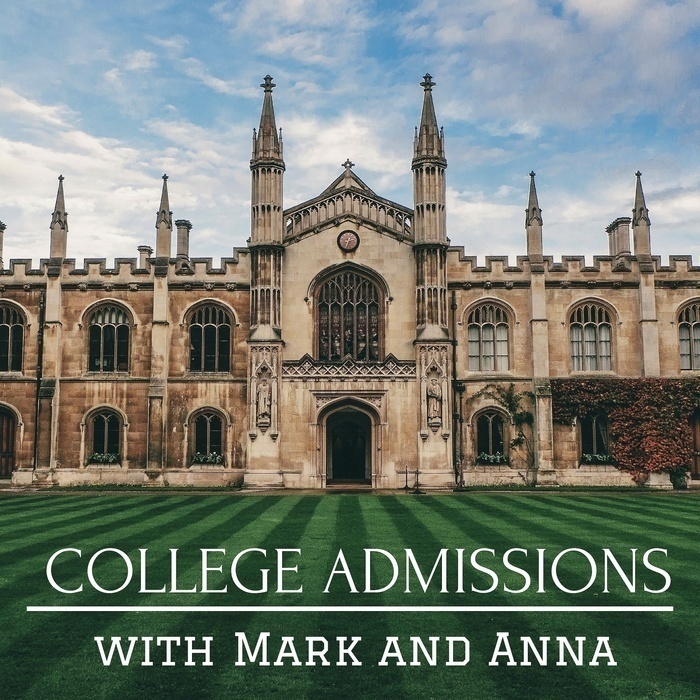 Join Mark and Anna as they discuss when and how to start preparing for college admissions. Course Selection vs. Finding Your Path? It's back to school and you're wondering what classes you should pick? Should you try taking that harder class? Should you stick to classes related to your major or classes that will deem you "more competitive" based on the university's preferences. Join Mark and Anna as they discuss how to pick classes in high school and college. From understanding whether or not different classes are weighed differently like AP Calc and AP Stats to is there such a thing as taking too many challenging courses and how to pick classes that demonstrate growth and maturity, Mark and Anna have got you covered in this new episode on course selection. A majority of students can make it through high school and college, and some will do so with incredibly high grades while achieving amazing things. However, increasingly more high school and college students are finding the stresses of academics to be overwhelming. High School and college counselors are reporting the number of students seeking help for depression and anxiety is increasing at an alarming rate, higher than most have seen in their careers. Join Mark and Anna as they tackle how you can help your teens stay healthy - mind, body, and soul - when it comes to academics. From how to build your "framily" to whether or not to disclose any mental health challenges you may have faced, Mark and Anna have you covered on stress, anxiety, and suicide in the world of high school and college. School is almost out and its time to figure out what to do this summer, besides soaking in the sun with your friends. While we've talked about activities in general, summer offers a unique opportunity to focus on development. Join Mark and Anna as they discuss the different types of activities you can dive into, how to use summer for "two-fers" and what are some not so great ideas for how to spend your summer. Big Fish in Little Pond: What’s the Lure? Inspired by Malcolm Gladwell's book, David and Goliath, Mark and Anna discuss how to assess "big fish in a little pond" opportunities. As you look at schools, narrow your list, and make decisions, this is another factor to keep in mind. Join Mark and Anna as they revisit "best fit" and encourage students to consider the long-term impacts of being pushed to the edge academically, intellectually vs. learning comfortably, and reflecting on life and its many paths to fulfillment in this latest episode. All the work and sacrifice – applications completed, essays written, weekends lost, and joy-filled NetFlix binges missed… has finally paid off. THEY want you! Colleges want you! The golden ticket with notice of admission has been issued to you and now all you need to do is select which fabulous school you and your pet goldfish will head to in September. Join Mark and Anna as they walk you through this final step of the college admissions process - from where to check your results to what you need to look out for- Mark and Anna have you covered!